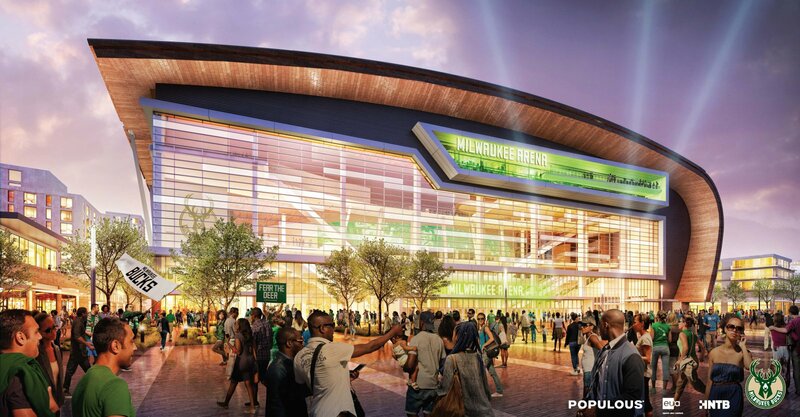 The primary entrance to the arena faces a new Fourth Street public plaza and future entertainment block. A glass curtain wall maximizes transparency on the east facade to reveal a full-height atrium within. Dramatic escalators and monumental stairs carry patrons vertically while feature spaces at each level open into the atrium to further activate the space.